"One for all and all for one." "Einer für alle und alle für einen." "Ένας για όλους και όλοι για έναν." This is the County of Thrax, a harsh land of survival to be found up in the Northern Parts of Elyria. Where Snow is somewhat common, every fourth Year to be experienced and acidic land makes it hard to grow anything. 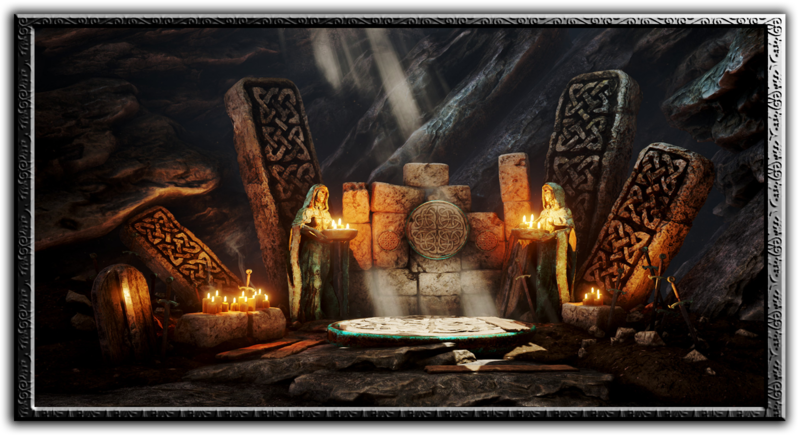 It is yet a mysterious Land lost throughout the Ages, where ancient Crafts and Traditions have been continued ever since the beginning of the Mann Race. Home to the Brudvir, Brothers to the Wolf, this Region has held its place for a long time with mostly Fishing, Hunting and Fighting. We have been inspired by the hellenic Thracian Lifestyle which is pretty close to the Brudvir and the Teutonic Order, we are International, though we are a Pack of mostly germanic, nordic and english speaking men and women. We live in the Taiga, in the Kingdom of the North of the Brudvir and Hirothi, the so called great Empire of Demalion stretching itself all the way to the Neran and Hirothi Kingdom, within the western Duchy of Brudvir called Lyon, securing and handling all Seatrades in the westside of the North, our Pack lives at the Coast bordering the broadleaf Forest to protect and fight for the Lyon Wolf Clan. As a fresh gaming Group, the Core consists of experienced yet veteran Players coming from Darkfall, Eve Online, Life is Feudal mmo, Ark, Atlas and from many more sandbox and PvP mmorpg games. Thus we are strongly looking out for anyone settling with us, playing with those styles in mind, anyone from those Ranges is very welcome to join and help us build and become the backbone of our very Group. are always welcome to join us and become the backbone of our County, by becoming Barons, Clan Leaders or Mayors of our Settlements and Lands with the Help of the Myrmidon Order by overthrowing. join our Coms on our Teamspeak =>“ts3.tsgclans.com” and our Discord =>“https://discord.gg/y5BGZfY” for talks and thrills and address yourself to “Myrmex”, “Rojax” or “Chidar”. We are a PvX County, though we mostly consists of PvErs, so we are strongly looking out for PvP People with whom we can work with to expand our land, to give Reputation to and thus satisfy all of our needs by processing your Ressource and by your fighting to protect us, cause an army cannot march on a empty stomach right? 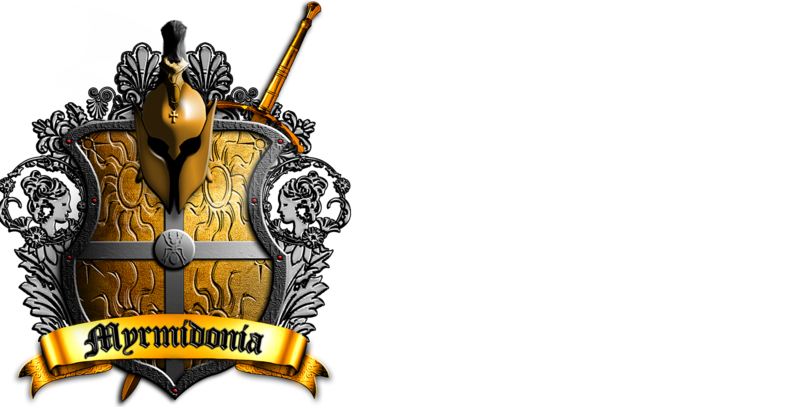 Join forces with our Band of PvP Warriors, the Myrmidon Order or join us with your Clan. We are looking for Citizens to become Farmers to fertilize our acidic land and improve our Agriculture the best way possible, Fisherman of the rivers for food and Sailors of the grand seas and coasts to trade and Paramedics of water and nature for our Health in Thrax. For the Daily Needs we need Hunters of Beasts to prepare us for the Winter and protect the Wildlife, procuring us the Hide, Skin and Pelt to give us Warmth and leather for the Tanner and Rangers also known as Guardians of the forests, protecting our Forests and its Ecosystem. We also need Fighters for our Pack of Wolves the Myrmidon Order to protect and fight for our land and Explorers with cartography, to pinpoint important Resource Locations, Trading Routes and our Settlements in Thrax. For the Armory, Infrastructure and special needs for our people we need Miners and Metal Workers as Smiths and Tinkerers to create tools, weapons and armors. 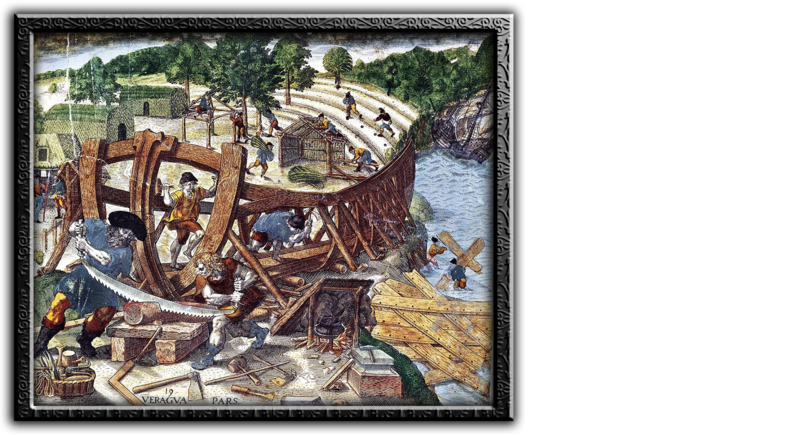 Wood Workers as Lumberjacks to procure quality Wood and Carpenters to build Structures, Tools and Furnitures for the daily life of our Citizen. Naval Engineers as Shipbuilders and Ship Architects to manage our Ship Craftsmanship. And Glass Blowers and Masonry Workers for the Progression of the Land of Thrax. For Knowledge and organising we need Scribes as Architects and Writers to make books of our Dynasty, Guides for new people and general Knowledge of Elyria and to write our Life down. And Reeves and Taskmans to manage our Den’s, meaning our Settlements for the people of Thrax. And more to help us Thraxir, create a place where all of us can share a Dream of Passion and Freedom. We are looking for Gamma’s to keep the Den’s and Settlements going and help in constructing, settling and creating their own Families, so that we can have a developed and rich life in the North. We are looking for Beta’s to settle and to create their own Den’s and Settlements working with us closely to match the Bruégot’s Wish to create a harmonic Region where all the Citizens can live to their fullest without any Restriction. We are looking for Noble Supporters such as Bruégot’s and Bruérag’s to work with us together to create a harmonic northern place for our Pack. The Story of the land Thrax began very long time ago in the ancient World where many cultures fighting each other developed themselves into extraordinary and great Civilizations, it all started at the beginning of Mann. We do not know much though we know through hidden knowledge in the tombs from our Kings, left overs of Shrines, Ruins and Legends that our Ancestors were a hellenic and barbarian folk, such as the Thracians where Women were treated equal as Mann and Mann were seen as strong as Ants, as fearsome as Wolves and as deadly as Spears. Where the existence in a bloodthirsty mountain Wolf God named Lykurgos took place and the Legend of the invincible Warrior Guardian Achilleus roamed it’s Tale. It was written that we came from the last surviving Ants of the ancient land of Thrax by a so called God of War named Tyr from who we know nothing about but that he lived on the peaks of the snowy High Mountains hidden in the harsh deadly Winds of the freezing Clouds ruling over Dynasties and Fates of our ancient Mann Culture. 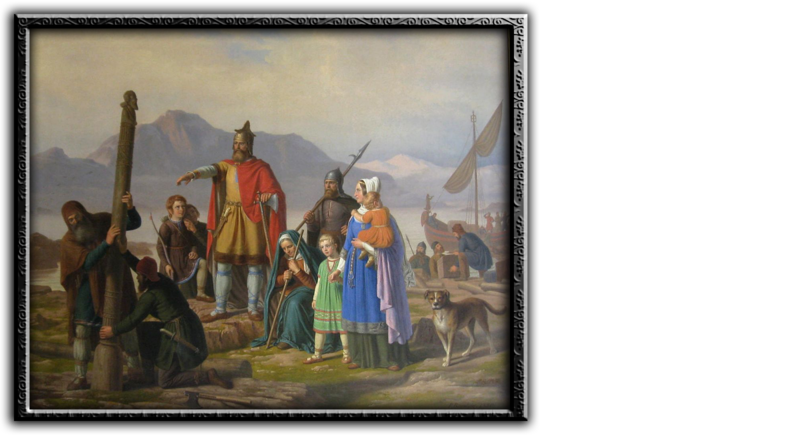 At that time, many ancient nordic Gods fought each other, even though they could not die they solely wanted to prove their Strength in prevalence to others to show who is the rightful Ruler of the North. They fought endless Wars, in the middle of it all was the County of Thrax, destroyed and ravaged many times over, the nordic Mann cultures and lands began to disappear. By the Call of one Mann whose name was Aeacus, his prayer was heard as he marched through the dead, frozen and cold Land of Thrax for several Months without food and water. Admired, Tyr heard and fulfilled the Request of Aeacus and gave life to Thrax, he gave it large and deep Forests, huge and remarkable Mountains with precious Ore and plenty Animals and Beasts for us to Hunt and to live with. After the three Creations, Tyr decided that Aeacus needed some Mann to help him honor the Land, himself and to give Life to a culture which would make use of the gifts. The Mann were formed by the last Survivors of the Land, the Ants. 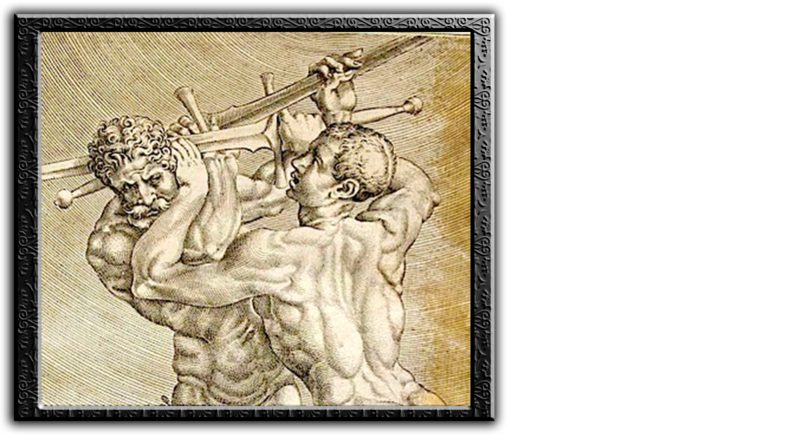 These Mann were called Myrmidon. The most well known Heroes of these mythic People, would be the invincible Warrior Achilleus and his Companion the bloodthirsty mountain Wolf Lykurgos, who together did great deeds as Protectors of this Land and achieved many feats for its people. And thus the People, its Culture and its Belief started to flourish and grow into the County of Thrax, right after the late War between the Gods of the 7 Virtues and the Guardians of the 7 Vices, after the Virtori Belief, after the Sealing of all gods and guardians. We are Descendants of the Myrmidon. Sons and Daughters of the God of War Tyr. focused free men and women and excel in giving our citizens, clans and guilds Freedom, thus we choose to let creativity flow and no restrictions be put in place to hinder their craft, of course there is the law for the NPC, random, new and solo Players so we have a foundation to make a Concept come true and PvP- and PvErs to push forward and to expand on to make our Ideas a reality. to make all NPC Counties of Lyon in player controlled Counties, by attacking neighboring Counties and so unite the Duchy of Lyon. in our County are the Jæger (Hunter), procuring Food and guarding the Wildlife and the Førster (Ranger), guarding the Forest and making sure our Biome is not endangered, thus those two roles will aid us in maintaining a high chance of Survivability. will be in the Wood processing, Hunting of Beasts, Knowledge through Alchemy, Weapon and Armor through Blacksmithing and Leatherworking, Great Seatravels through Naval engineering, Consistency and Protection through Combat and Leadership Skills. We are in the nordic Empire of Demalion, chances are that our County will have a high population of Brudvir, some Hirothi and a few Neran. As Brudvir and with the Help of the Hirothi, we will try to combine some of traits and knowledge to give us a technological Advantage, not to neglect of our Enemies. The Biome of Thrax will be inspired by the Taiga, its Mountains and the Alpine Forest with access to the Sea. Ruler of the land, county and its military. Primary Advisor of Economy and Deputy of the Ruler's Absence for Land and County. Strategic Advisor, Logistic and overseeing Administrator of the County and Deputy of the Ruler in both Count's and Viscount's Absences. Marshal and Right-Hand of the Ruler, building defensive Structures with his Barony around the County and Second in Command of Military. Master Blacksmith and council Advisor of logistics and progression throughout the County for Armor and Weapon. Master Alchemist of Research and council Advisor of chemical substances and life enhancing methods for the County. Master Engineer of Research and council Advisor of naval architecture, improved engineering of infrastructures, tools and equipment for a more diverse County. is called "Wolf's head wearer"/"Wolf's Maiden" in Old Norse. It is the Thraxir Jæger who came back with their beast, from the ice freezing Hunt in the dark depths of our forests during the Winterswatch, honored and celebrated as heroes, and leading us in the next. 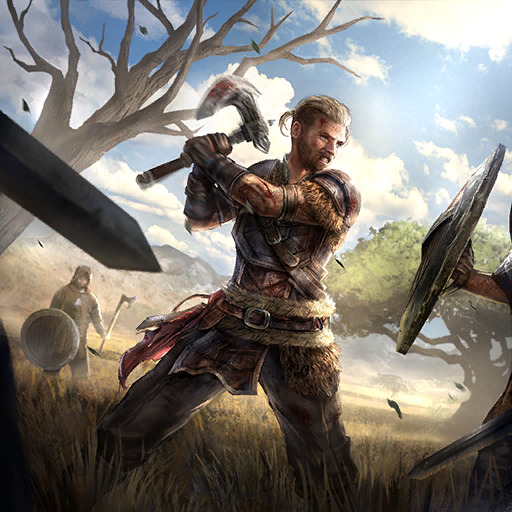 are made up by the myrmidon Brothers who reached Class Tier 2 in the weapon and combat School, their objective is to gain experience from roaming and protecting the county, fighting the Beasts and getting connected more to our citizens by doing Quests and Guarding acting as a Garrison. are made up by our Citizens guarding the Forest and its Ecosystem. To make sure that the Forests are safe, healthy and we know where to safely cut wood next. They have knowledge in Animal Tamery, Cartography, Herbalism and are known Scouts throughout Thrax with their skill in speed and agility. are made up by our most brave Citizens willing to hunt the dangerous Beasts and to protect the Wildlife of our deep Forests, to bring back home food, hide and pelt. They have knowledge in Animal Tamery, Cartography, Skinning and are known Skirmish Warriors throughout Thrax with their skill in focus and in strength. are the Thraxir who own a Purebred Horse and who come from the Bloodline Class and higher. They own Battle Equipment, but most notably excell in Riding Experience of all the other Classes, to always be ready to follow the Call of their Leader Myrmex to protect the People of Thrax and its Land. are the citizens of Thrax, experienced in the Art of Combat and Weapon, crafting, progressing and farming as PvP and PvE as their lifestyle, they know how to handle themselves in Combat but are not as experienced as the Myrmidon. The Thraxir, the People of Thrax are peaceful and loving, dearing to everybody and accepting to any cause. Inspired by the Virtori and the Faedin, they believe in being guarded by two Spirits, the invincible and virtorian Guardian of Wrath Achilleus and his Companion the bloodthirsty Mountain Wolf Lykurgos, roaming the Land of Thrax from the Tip of the High Mountains all the way down to the Deep Forests. They believe that angering those Spirits would be angering our own Ancestors and result in making the Nature furious against its People. Yet even with those Beliefs, the people live their own free life, while praying to those two Spirits and assuringly knowing the Myrmidon Order, who embodies the Guardians, roams the Land of Thrax to protect its land and its citizen. Aided by the Thrax Førster (Rangers) protecting the Forests and with the Thrax Jæger (Hunters) securing the Wildlife, the Ecosystem and the life of the citizens will be guarded heavily from any Disruption. The Myrmidon Order are fair well known Warriors of the land of Thrax to fight and die for it. To protect thraxic Trading Routes, its Citizens against any Beasts, Bandits or Invaders and fight for their Reputation, they are a Important Unit to the Duchy of Lyon. In Spring, it is the Time of the bloom, seed and life. We acknowledge the fruits of life and the gifts given to us by the nature. It is a Time where our People open up and realize how blessed they are for having survived the Winter to see the coming of Spring. We honor our families and women to bring happiness in everyone's home and maybe a new son to our Dynasty by all luck. 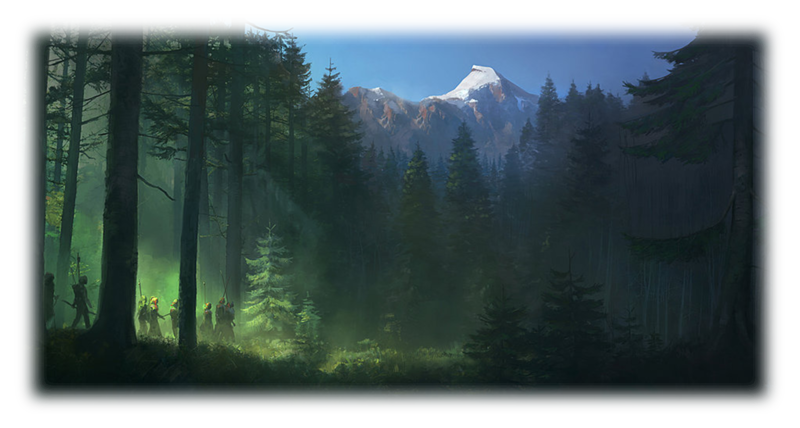 Those are peaceful times, where we roam the land to thank its beauty, starting new Expeditions and new Hunts, praising our Guardians Achilleus and Lykurgos. Where Skills attract curiosity and new Adventures begin their Story, as they’ve recovered from the Winterswatch. At this time it is believed that Achilleus has begun to prepare for his proof of Existence, his search for new miraculous Feats and guarding of Thrax. It is where Lykurgos is very listening, has sharp eyes, long ears and a small nose with big teeths. In Summer, it is the Time of the light, harvest and endurance. We know that we must use the Sun to our advantage thus we make sure that we continuously use the Effort of our Labor in Spring to bring good tidings to us and plants to grow in Summer. But hard it is to protect our Wildlife since the animal Surplus and growing of Trees harms the food chain, thus it is a active Time of our Jæger (Hunters) and Førster (Rangers) to take care of the Ecosystem. Those are hard but satisfying Times of our people, once we have savored the Taste of our Spring, it is where we feast and drink to our pleasure and honor the God of Love, if there is any. At this time it is believed that Achilleus is already within his proof of Existence and is struggling against dark beings and curses roaming the Land of Thrax. It is where Lykurgos is very calm, has closed eyes in the day and a profound sense in the night, a big nose and sharp teeths. In Autumn, it is the Time of the hunt, blood and spirits. It is a Time where inspiration happens, where one's domain becomes art, thus the nature enlightens us again with the fruits of our labor to prepare us for the Winter. In this Season we use our Time wisely and carefully, it is here where we decide what our fate in the Winter will be. Our Førster (Rangers) and Jæger (Hunters) will have to work diligently to make sure the ecosystem can live through the Winter without being endangered, yet the will of the gods decide its fate. It is the Time of the vigorous Hunt, where we make sure we are prepared to have enough food to welcome anybody throughout the Winter and have enough wood to keep our beds warm and the frozen death out of our homes. While we honor our Guardians by praying to them and making sacrifices, stories are being unfolded as our Adventurers come back from their long travel and unknown experience, to seek Shelter for Winter and share their telling to the other fire seekers. It is those Stories that keep our Minds busy while we fight for survival in the Winter. Those are blessful Times, if god wills it and our people prepare for the worst. At this time it is believed that Achilleus is deep within his search, proceeding into the darkest and most deepest Places of the Forests to find the source of his existence, being distracted by bizarre figures and riddles, he continues to march to the heart of Thrax, while meeting familiar spirits to talk and to drink with. It is where Lykurgos is very awaken, has bloodthirsty eyes, tight ears, a wet nose and bloody teeths. In Winter, it is the Time of trials, strength and courage. The harshest and most severe Time to come to affect all of our people. Young or Old, preparations has to be made before the Winterswatch, mentally and physically. We are used to the cold snow since our youth, though it brings back good and bad memories, the beauty in the deadly frozen cold. Every year we trial ourselves, by sending our most experienced and fearsome Hunters out to slay the most dangerous Beasts within the deepest cold dark of the Forests, yet they will come back, in spirit or in wolf. 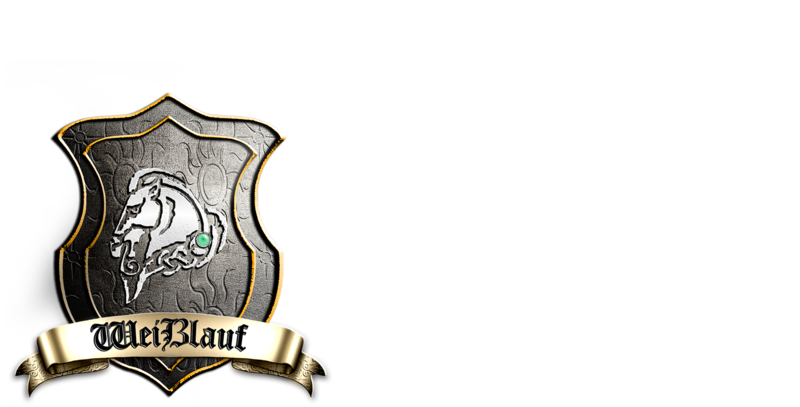 Those who do in wolf, the Úlfhéðnar "Wolf's head wearer" / Ylgr "Wolf's Maiden" will gain a Hero Status, a lot of Reputation and become new candidates to lead our People through the next Winterswatch. Should he come back without his prey, then shame shall fall upon him and he will start anew as a omega wolf without teeth in our pack. Those are dangerous Times, where one mistake could lead to fatal death, even though touched by the harsh cold and frozen survival, we welcome any Brother to the Wolf to join our warm fire, as it is the Time of bonding, surviving and proving of our People. At this time it is believed that Achilleus has found one piece of his existence, while roaming the heights of the mountains and the frozen death of the taiga, he met his old Companion, the bloodthirsty mountain Wolf Lykurgos, with him he strived to protect the Land of Thrax within the cold hazard and fought off the most dangerous beasts threatening any lifeform. It is where Lykurgos has cold and blood drunken eyes, snow tainted sharp ears, a dry nose and dreadful teeths. Men or Women from the County of Thrax have the right to choose their Way of Life. We offer throughout Thrax an Agora where you will be able to speak out your Mind and give your words a true Value as you Speak. You will also be able to put up Contracts on our Notice-Boards for Quests of any Desire. Agora is a hellenic Plaza where Citizens meet to discuss matters. As for Material gathering, you will need to ask Permission, so that we always as a County have full control of how much and how fast our Resources get lost, to avoid any citizen conflict and disadvantage in any possible War. loyal to Bruégot, Count Myrmex Namykos and a trusted member of any chosen Way of Life, you have the Right to approach any resource Location or only One of its kind of your desire to gather, collect, process, develop and ultimately sell it under your Name in one of our great Settlements Myrmidonia, Aremorica, Čavččas, Orzammar, White Arden or Weißlauf as an object or as any other product type, to help prospering our great County and your family Name. The Way of Progression will help the Research of our County to win Technologies for all kinds of matters to be specialized or knowledgeable in. For a better and worthy Life of our People. You will have the right to create your own Guild specialized within thy art, to increase your Research and Production Rate. If none has been yet created. If yes, then you will have to join the already existing Guild of your desired Art, so that both of you can profit, you will then make a contract with their Leader, so that you can profit from its Research and give up a Percentage of the full sum you've gotten from your Work of art, to the Guild Bank. Weekly/Monthly. Guilds, with the accord and approval of its Count, in Thrax will be supported by the noble government, which is normally not the case and will act as the official technology and production organisation of the county. As those who want to or have mastered those arts, are welcome to settle themselves into our county to call forth thy art of selling goods and trades to help us raise to prosperity. Important part of Economy is to know where and when something is needed and will be logistically procured and transported throughout our Routes, basically Economists handle their Infrastructure, Shop and help us, thus themselves, to create a flawless Market for everyone else. If our County gets rich from its resources, then I could look over any Proposal made to me, to make an Impact on any Area. Would it be an Investment into Agriculture, Architecture, Competitions, Settlement expandment, Militia NPCs, better Roads or bigger Provisions. You will see and feel your historic Achievements throughout the Time, because I will try my best to create a County full of Harmony and your Desire. Being a Blacksmith is of great importance to our County, not only will it serve for armor and weapon creation to protect our people but also to give us tools and the necessary means to maintain a Life of Progression for everyone. 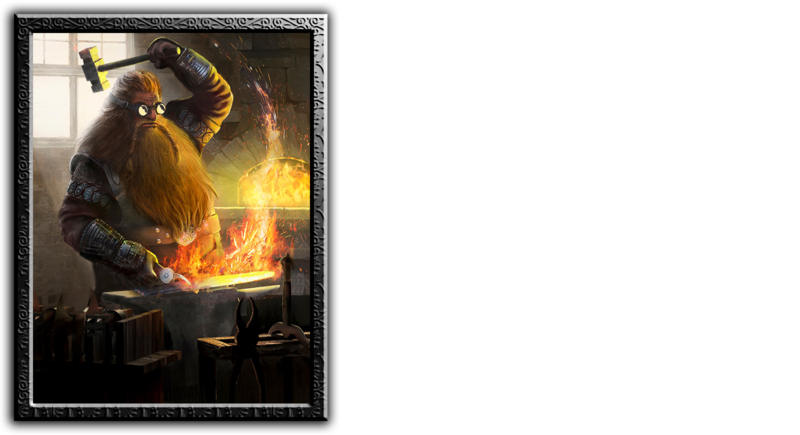 The Blacksmith Guild "The Rusty Hammer"
One of its Branch Heads, Master Roland Greymane will have a Guildhall in the Capitol Myrmidonia, under the name of "the Rusty Hammer”. A Guild of Blacksmiths and metal Crafters for the County of Thrax, to join and to handle thy Art of Steel, Iron or of any desired Metal to create ultimately miraculous, magical or legendary Items for the Thraxir People. The Myrmidon Order, the Protectors of Thrax, who are solely known to be Knights will not only be skilled Warriors but also Builders, thinking in the Way of constructing its World around Elyria. As Architects will need a manforce to construct and make the settlements come true, we will leave our Mark on this World, to help enhancing our Infrastructure and to prepare for when Winter Comes. 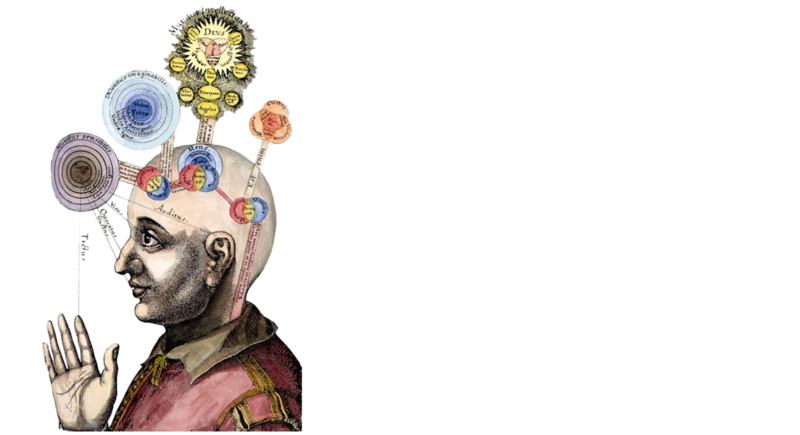 Alchemy will play a big role in our County, as it is for us, our way of researching better ways of doing things we already know, thus enhancing our own Lives and the Life of the Nature. May it be in Agriculture, in Health, in Provisions, in Civil and in Military Technology or even in the Ecosystem. Here are gathered the greatest Minds of Thrax to discuss and create a better life for its People. The Alchemy Guild "Arcanum Emporium"
The official Alchemy Guild of the County of Thrax for all Alchemists around Elyria to witness magic happen, or was it Chemistry? A Branch of the Alchemie Guild "the Waoder" funded by House Namykos, in form of a Guildhall led by Master BillBonty in the Capitol Myrmidonia, under the name of “Arcanum Emporium”, will have the most craziest scientists and knowledgeable Minds of all Thrax, gathered to forge new Weapon Ideas and enhance the Life of the Thraxirs. To allow us to bypass restrictions of Nature and make new Ideas become a Reality. As we will be focusing on constructing the World around us, we need to find a way to be able to transport and trade as much as we can to prosper our county and open up for new Adventures. Thus we will have branches of Crafters and Researchers who will concentrate on Ship Building and everything else needed to allow a Naval Life and Expedition. The Naval Engineer Guild "The Bruéskipsmiðr"
Residing in a Port on the Coast of our County, the official Naval Engineer Guild “The Bruéskipsmiðr” of the County of Thrax will be the Sea Engineers, Minds and Shipbuilders of Thrax, researching new ways of sea travel to allow riding the high seas, pursuing long distance travels with trading ships and enhancing our ship designs to their fullest potential. To overcome the grand Seas and long distance travels on the Ocean, for this purpose we will have the Sailors of our Naval Engineer Guild, creating sea trade routes for our County and allow us to experience Sailing with knowledge, bringing in goods from all over the world, sailing the World and the unknown. The Warrior and Knight Life only for you. 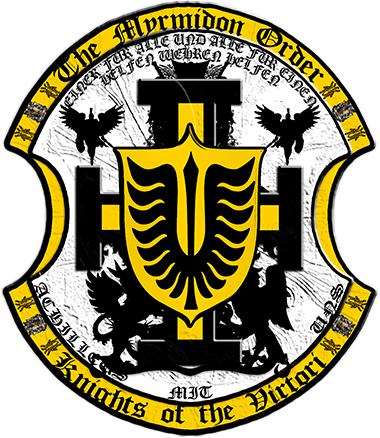 The Myrmidon Order, the official Knight Band of the County of Thrax. 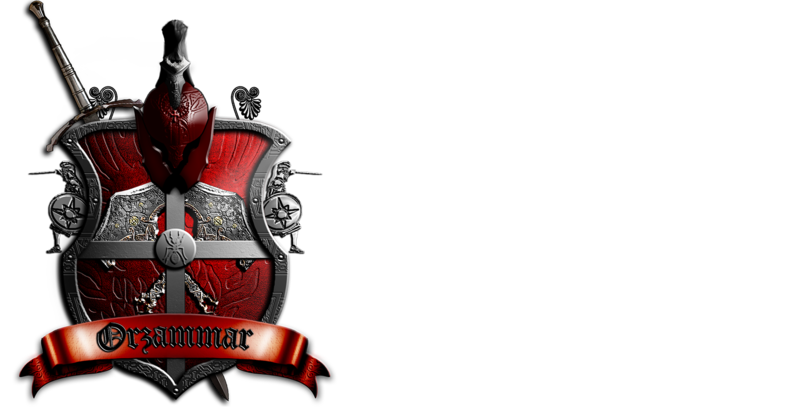 Home to the Myrmidon Order, a Circle of Warrior Brothers following the Code of the Knights and Spiritual Way of Life seeking enlightenment through protecting the Land of Thrax and Mastering the Way of the Knight, Weapon and Kill. Attending our Myrmidon School of Combat and Weapon will give you Skills only attainable here. 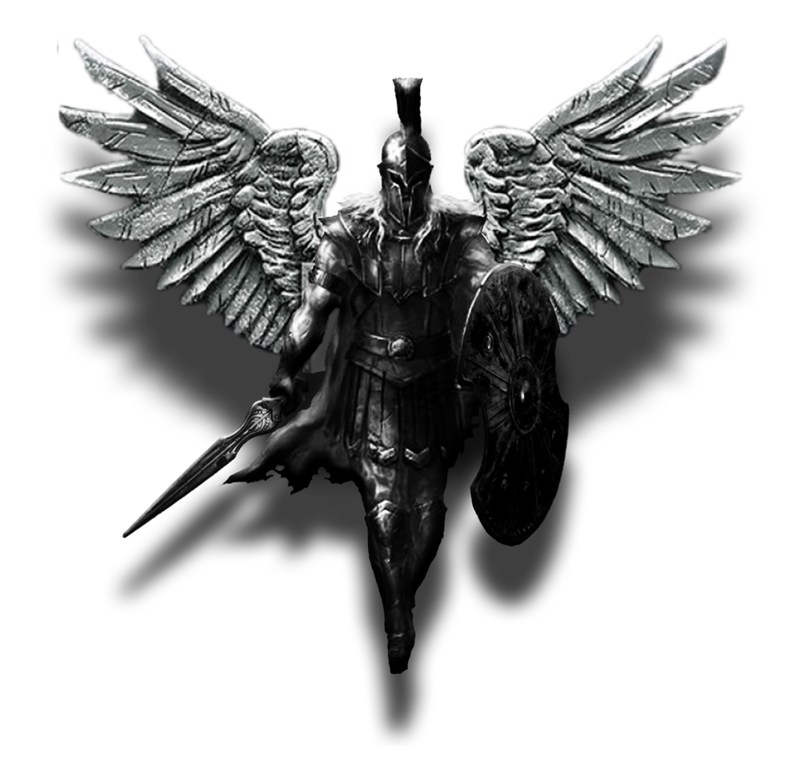 The Religion of the Myrmidons they follow is a Cult believing in one of the great Guardians of the Vices from the Virtori, the Guardian of Wrath, to be the invincible warrior Achilleus. Our perfect Idol and Embodiment of a true Warrior and Knight. 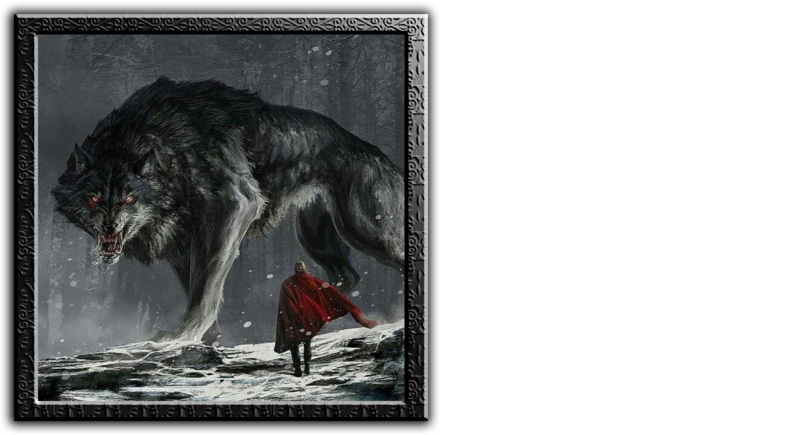 They also believe that he had a Companion, aiding him in his Hunt throughout his Search for Enlightenment in the North, it was the bloodthirsty Mountain Wolf Lykurgos, a faedin Spirit to be believed to be his closest Friend. Those two Guardians being together, which is believed to be in the Season of Winter, would mean for us to open up a great Hunt, when Winter comes, towards the deepest ends of our Forests, guided by our Guardians to bring back home the most dangerous Beast. The Guardian Shrine of Achilleus where we will pray to our invincible Warrior and the Guardian Shrine of the bloodthirsty Mountain Wolf Lykurgos, in honor to both Spirits and to our Belief, will be build not far away from our capitol Myrmidonia in the County of Thrax and will be able to open its doors to any Visitor once both have been built by the Myrmidon Order. 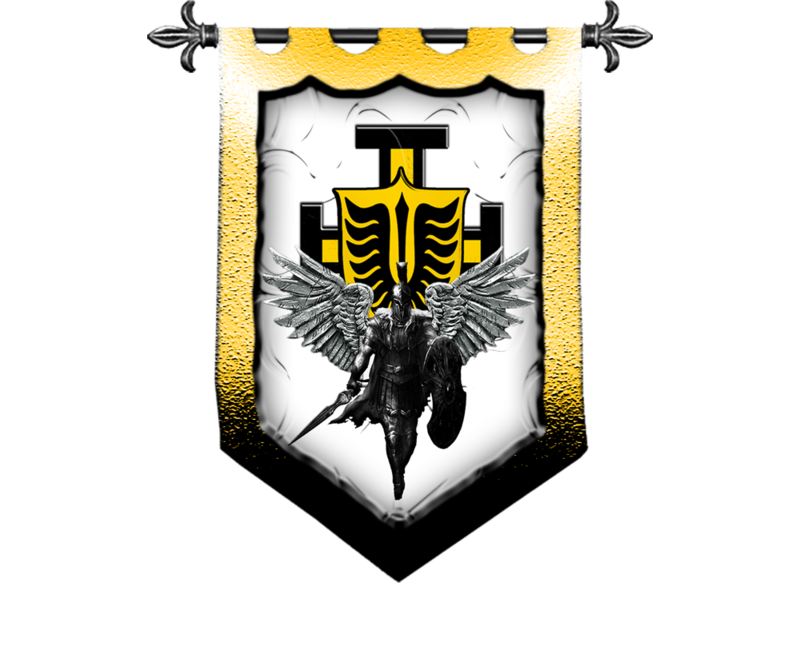 We are crusaders and loyal to the Church of Lyon to our High Priest, Duke and Clan Leader Rojax Lyonsbane. As Thraxir, a Citizen living in the County of Thrax, you will be given in your youth a contract proposal to fight for and protect your Land as a Warrior and Knight by joining and being teached by the Myrmidon Order as a Myrmidon. Which you can decline, if you rather want to live a fully civil PvE Life in progression or economy. Accepted you as a Myrmidon Initiate will be fully teached in the Arts of Combat and Weapon and how to become a Knight and Warrior from youth to adolescence for PvP. If you desire to live a PvP and a PvE Life, while both being experienced in the Arts of Combat and Weapon, yet also in progression and economy, you can choose to lead as a Thraxir a PvX Life. And as a Thraxir, who excels in horse riding experience and owns a Purebred Horse with Battle Equipment, you would be a Thraxirrim, they would always be ready to follow the Call of Myrmex, their Leader on their purebred Horses to defend their Companions and their Land. As a Myrmidon Brother, who has undergone the PvP Teachings of the Myrmidon School, you have now become a Myrmidon Warrior, who would be experienced to join any Barony and their Unit for Battle, if you bought the standard Battle Equipment. Now free from the Teachings, as Myrmidon Warrior of Thrax, you are now free to choose and decide what kind of life you want to continue living in the County. Whether you want to live a PvP Life by directly joining up the Unit of the Myrmidon Order in their current Missions, with the main focus in Protecting the County at a cost. Or a balanced PvX Life, with no main focus but doing crafting and protecting. Or completely returning back to a peaceful civil Life, a PvE Life by doing progression or economy. You will gain Land, Payment, Honor and Reputation as a Myrmidon Brother for every Mission you participated in, until your contract is finished. After having served for several years, you can now after the ending of your contract, choose to rise in Rank or leave for a veteran Contract. This would give you the option to stay as Myrmidon Brother but you would retire from your Days in War and spend half of it working on your farm, land or on one of the Ways of Progression or Economy and you will only be called to arms if the County of Thrax needs to defend its land so that your Character can still choose to protect its Dynasty and Home with his Weapon. We are going to fully support the Law in Lyon, as such the Politics, Military and Civil Way of Life, to find more about the indepth written laws click on this text. This Statue will be built in the Honor of our Ancestor and Ruler Aeacus who gave life to our dear motherland Thrax, through his commitment and strong Will he inspired the God Tyr. near the capitol of Myrmidonia. Where our people pray to get the Blessings of the virtorian Guardian of Wrath Achilleus, the invincible Warrior. To become a better man and Protector of the county of thrax, for the Traxans. somewhere in the Woods of Thrax. Where our people pray to get the Blessings of the faedian Guardian of Hunt Lykurgos, the bloodthirsty mountain Wolf. To become a better man and Hunter of the county of thrax, for the Traxans. to be witnessed inside the Gates of Myrmidonia. Where Tournaments are being held and the Combat Skills of our myrmidon Brothers are being shown off. And where other Warriors can prove their Metal against us for big money and for honor. It was at the beginning of Mann, not long after a mortal man named Aeacus passed through the Destruction and called upon the Gods to make the Prophecy of Thrax happen, the revival of the dead Land through his deep commitment of praying and marching in it for months without food and water, inspiring Tyr to give life to the deserted Land and transforming its Ants into Mann. Aeacus then ruled over the Ant People, them Myrmidon and with their Help, flourished the dead Land of Thrax. The God was in their favour and delighted by Aeacus and his people daily praying, gave its Land high Mountains, deep Grasses and beautiful Forests with strong and deep rooted Woods. 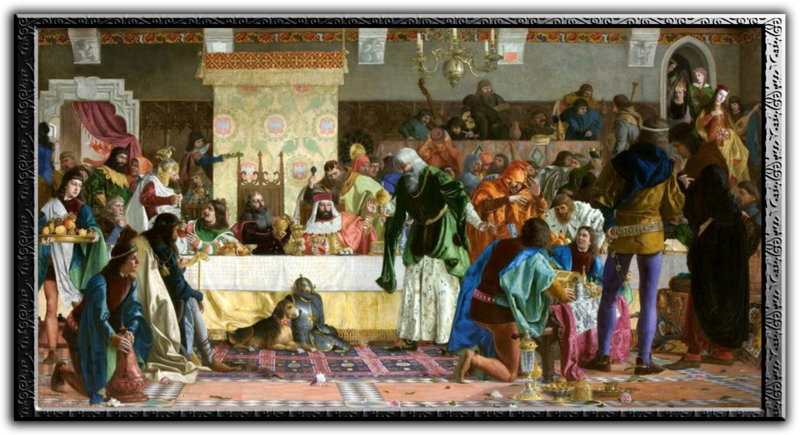 The Myrmidons and Aeacus celebrated, it was a Time for festivities and happiness thus they drunk and ate all they could. Thrax flourished, new Destinies and Bloodlines were to change their fate to embrace the new Life. After several Generations have passed. A new child has been born, the grandson of Aeacus. Its name was given by his Mother by a tale of a God whispering her the name of the ancient King of the ant people, Myrmex. Thus the Whisper of the God took the mother’s life and its tale took its form. And the child rose to become the new Ruler of Thrax, despising the Gods but only two he admired, Achilleus and his companion Lykurgos. Yet they were half mortal and half wolf, their Legend was lost throughout Time, though Achilleus and Lykurgos gained immortality as Guardians through dying for the Protection of their people. They had been inspiring to our Ancestors for a Warrior and Shield Brother seeking more than just a soldier’s death in their Life. Thus Myrmex believed it right to built a Shrine of his admired invincible Warrior Achilleus and his bloodthirsty Mountain Wolf God Lykurgos to let their Spirits become virtuous and faedin Guardians for our people to inspire and to lead in life as in death. The elders and nobles of Thrax, honored by such gesture, granted Count Myrmex complete Support. This accomplishment, allowed Myrmex to foundate the Myrmidon Order, with whom he will completely represent the Guardians Achilleus and Lykurgos, with his Brothers as Paladins to spread its faith and belief and as Knights to protect Thrax in all of its glory. Myrmex of house Namykos then decided with his Myrmidons to create a Settlement at the center of Thrax to become the pillar of his vision and for his people. Heard of his Success, Duke Rojax Lyonsbane came to house Namykos to meet this new Ruler of Descendants to generously appoint him the title as trusted Marquis of the Duchy of Lyon, to become one of the Protectors and Commanders for his Realm and to fight for its glory. Thus Myrmex and his Myrmidon Order joined the Church of Lyon as Crusaders of the Virtori, as a pledge of fealty and loyalty towards the House of Lyon. The Settlement of Myrmidonia came together by the very early foundations of the Myrmidon Order, after Myrmex Namykos became Count of the land and region of Thrax, to ensure that his name of nobility cannot be mistaken and to honor the Legend of the Blood of the Mann Descendants of Ants running through their Veins. Being the Grand Master of the Order, he found it necessary to build a place to call their Home and to be able to spread their Belief and Faith of Achilleus and Lykurgos, the Guardian of Wrath and the God of Hunt to others, thus they created Myrmidonia. It became the Heart and Capitol of the County of Thrax and the very Seat of house Namykos. Wondrous and extraordinary architectural Structures are built here from Wood to Stone to remember us of our Cult, Belief and Philosophy by our Myrmidon Masons and Architects. Within the Wall of Myrmidonia, the People are living a free Life. Thus they Craft, Trade or sell their own goods for great fortune, inspired by the Myrmidons and their Strength, the Citizens have been educated in the Art of Weapon to be able to protect their Home or Dynasty whenever it is needed. It is a lively and harmonic place where people are open minded and sometimes let themself wander off to different places while Stories are being told and fights are being fought. Myrmex of house Namykos often wanders off his Grand Villa to visit and cherish the Children of his People and actively takes part in the Construction of his Settlement with his Order. "ᛇᚾᚾ ᚠᛃᚱᛁᚱ ᚨᛚᛚᚨ ᛟᚷ ᚨᛚᛚᛁᚱ ᚠᛃᚱᛁᚱ ᛇᚾᚾ. " Settlements and Baronies residing and growing within the county of Thrax. 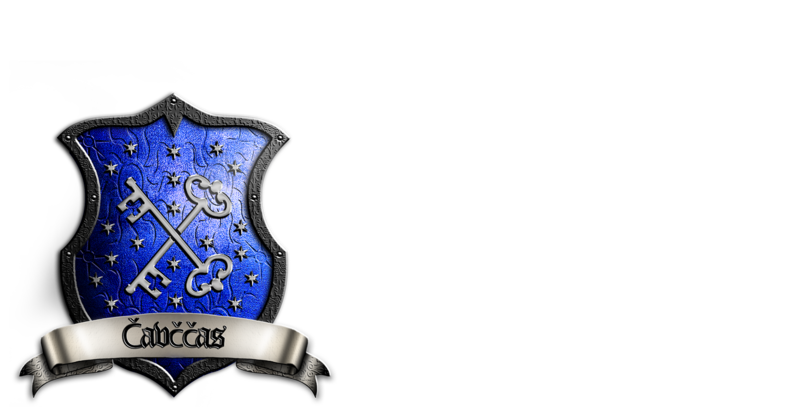 from the Coat of Arm of house Namykos is the symbolic representation of Myrmidonia. Gold means that our settlement will have a lot of prosperity possibilities and that we focus more on a quality life than on a quantity one. For sanitary reasons, anti-plague precautions and our Skills in general. The golden Helmet symbolizes the seat of Marquis Myrmex Namykos and the lefthanded golden Zweihander, the baronic characteristics of Myrmidonia and its military focus in defensive nature and protection. Metal symbolizes our Interest in the nature of smithing and architecture. of house Namykos and Capitol of the County of Thrax. And Foundation of its lore, its people and its belief. Housing the Headquarters of the Myrmidon Order, a Base of Naval Engineer Guild “the Bruéskipsmiðr”, a Guildhall of the Blacksmith Guild “the Rusty Hammer” and of the Alchemy Guild “Arcanum Emporium” and other spiritual Monuments. to call their Home, who want to be taught in the highest arts of the Weapon and Combat and to seek to raise them to a Legendary Tier. Citizens will have a privilege to take part in the Weapon Art Classes proposed by the Myrmidon School of Combat and Weapon. but for Enlightenment. There is a lot of demand here, our soil is hard but strong exactly like our Will. We are Hunters, Lovers, Shipbuilders, Woodcrafters, Blacksmiths, Warriors and so much more. We are strong but a small community, we follow the Philosophy of Aeacus and Unity. 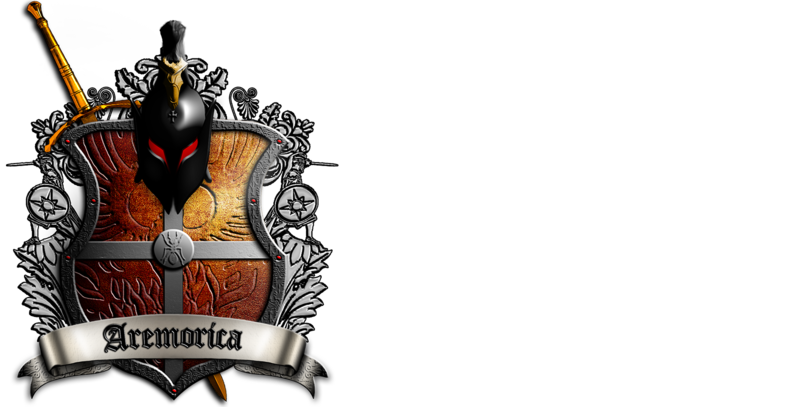 means that our barony has a strong Will and intention to conquer ambitiously, to make History throughout the World of Elyria. The black Helmet with red Eyes symbolizes the berserkish and bloodlusted approach of myrmidon Baron Völsung Steinkos and the right handed golden Zweihander, the counterpart of Myrmidonia, the baronic characteristics of Aremorica and its military focus in offensive nature. The Silver Metal symbolizes the Interest in protection and guarding of the people of Thrax. 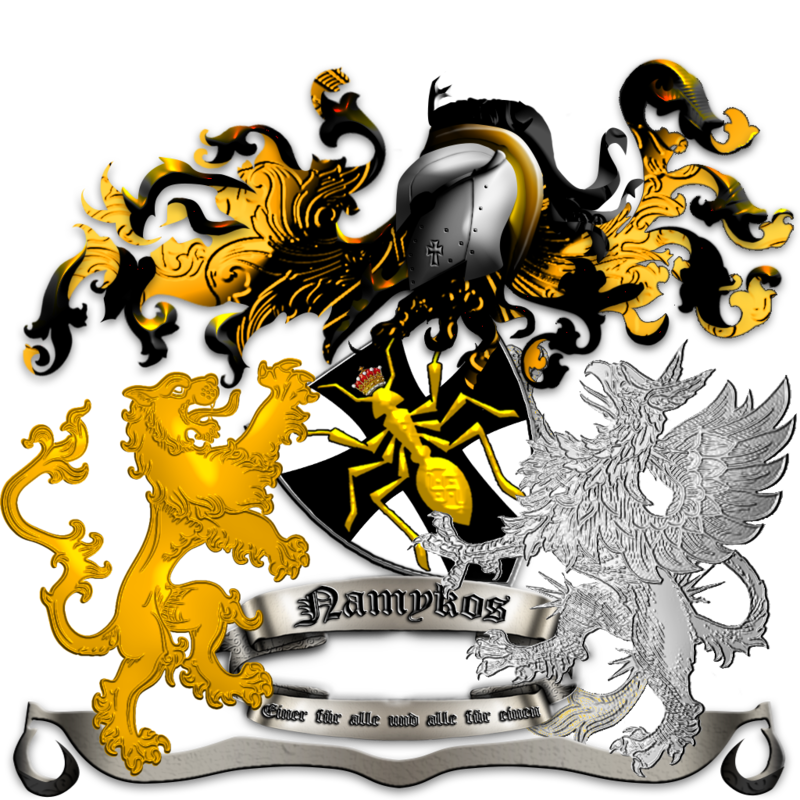 combined Phoenix Inscription represents symbolically the Barony of Thrax, though yet here it has a touch of orange Nobility standing for the Barony Aremorica, for never giving up and always stand strong at all Times. A Barony where Skill is achieved through sweating Blood. and strongest Barony of the County of Thrax. It is the Seat of Marshal Völsung Steinkos, the right Hand of house Namykos. Aremorica enjoys full support for Warfare by Count Myrmex Namykos, for logistical use or for military training. This Settlement is the Counterpart of the Capitol Myrmidonia. They work alongside upon a deep friendship for many years and share their life through a thick bond of loyalty. This Settlement will find itself strongly in the Training of Myrmidons, Hunt and Progression. standing for a strong and unbreakable Will. The red orcish Helmet symbolizes the strength and characteristics of the Barony Orzammar, for its lifestyle in the mountain and folklore creation. It has a deep mystical root in Thrax, ever since the beginning of mann, having been blessed by the greatest Smiths and Miners, it will bear the strongest and most tenacious Warriors. The silver Metal cross stands for protection and refuge for the people of Thrax. 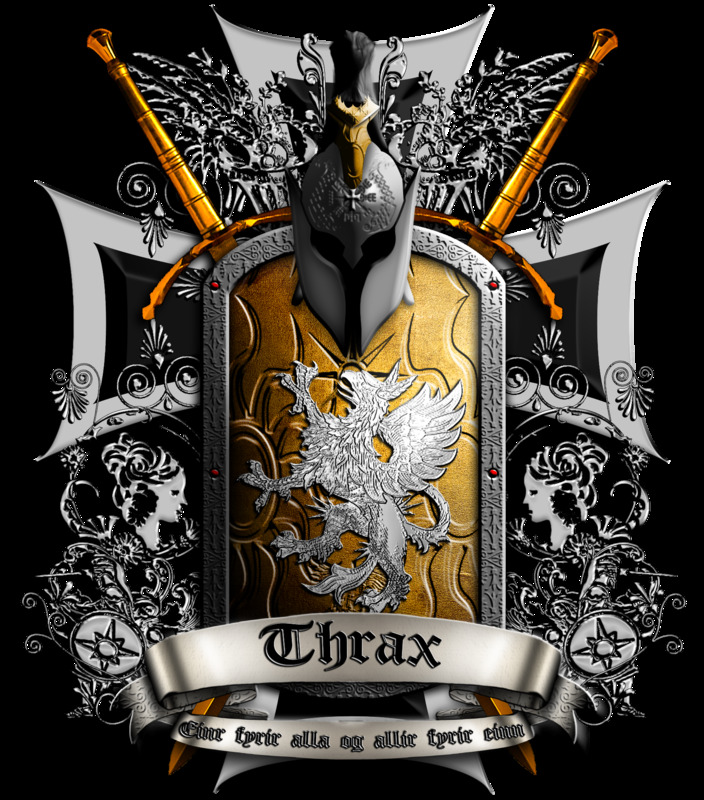 Inscription represents symbolically the Barony of Thrax for never giving up and always stand strong at all Times. A Barony where Skill is achieved through sweating Blood. Ryner Lute, Barony of strong willed Hirothi's, masters of the smithing and crafting in the art of metal. A heavy armed Force within the Myrmidon Order and pillar of Thrax. Here you meet the Miners and Smiths of Metal of Thrax, delivering the finest Armor and Weapons around. of the Settlement Čavččas of the Magistrate Skadi Eystra, Settlement full of Nature and Prosperous Trade. Focusing in the hospitalier branch of the county, while it enacts its research in Shamanism and healing Arts. Skadi is a Eve online veteran and is the prime advisor to the count with Economy and Logistics. of Governor Jarl Vignar and his settlement Weißlauf. Here most of the Thraxir speak German and has deeply forged the county with tight cooperation and relation. With strong activity in agriculture, medicinal plants and livestock, the settlement has a strong architectural appeal and provides a wealth of opportunities for the county, as its focus lies strongly in procuring food for the county and its settlements, either by fishing or hunting. Thraxir Heros Prima Aetas - "Become the Hero of Thrax"
A Tournament of youthful offsprings fighting each other until unconsciousness with their Combat Skills and preferred Weapon/s to show off their Skills gained through their combatship in the county and to become the strongest Warrior Prodigy, in it to be known. The Winner of this Tournament will gain discipleship of the Count himself and Land owned inside of the Capitol Myrmidonia for his Family and Dynasty. And one Item he wishes for. Not only that but he will gain a unique Title called “Thraxir Heros Prima Aetas”. 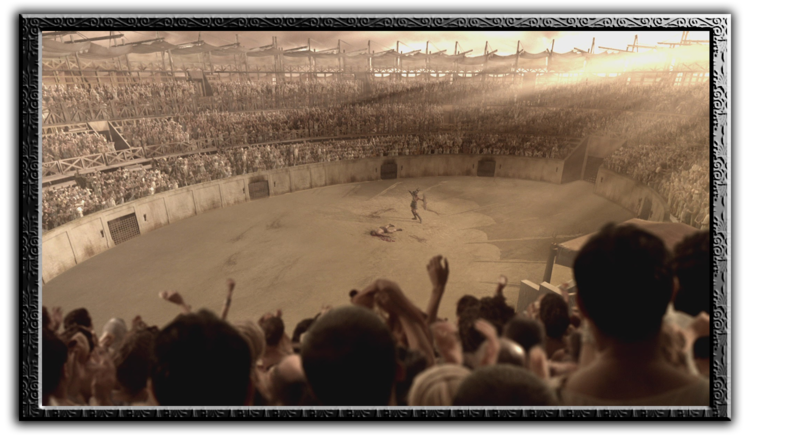 A big Colosseum, yet to be designed and looked at, a Player Vs Player Area, where the Myrmidon Order will train and fight against each other, Myrmidon Vs Myrmidon, a place where Skills will be shown and polished and ultimately Mastered. Where Teachers of the Myrmidon Way will show off their Combat and Weapon Art Skills as they teach it to our new Brothers. Big Competitions will be held there for the Entertainment of the People of Thrax, to show them our Strength and what we can deliver in Battle as a Unit and as a Warrior, our Values. A non bloody ending Fight between Brothers of the same belief, where every Lyon has the right to Enter and show his own Skills by dueling anyone they want. 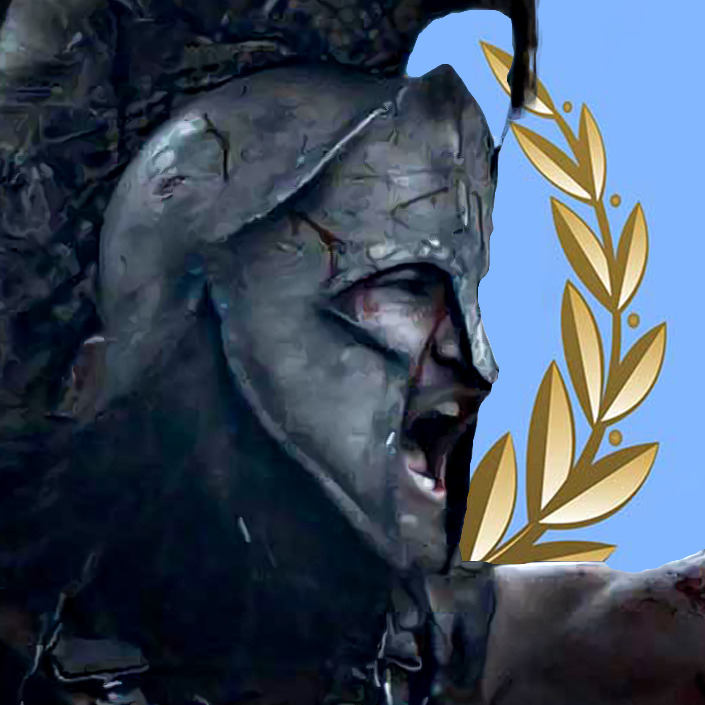 Citizens or honored Guests have the right to prove themselves in our Arena with our strongest Myrmidons, to prove their Metal or to solve a internal Dispute in a non bloody Way. Though if you want to risk your Life then there's profit to be made, as your Skill and rise in Honor becomes an Entertainment for our People and prosper for our Capitol. The Money is high, but so is the price. Can't wait to start helping make the County of Thrax something big in the world! Lets go for peace and glory for our county! This looks great! Will definitely be a glorious place! I can see a lot of effort has been put into this. Looking forward to working with you all! I am happy to announce that Rectify - Xenos a new Baron has joined our Community as of recently. To fight for our Homeland and long live the Thraxir.